Here is a 5 minute interview for insights with Sales Development Representative, Andrew McFayden, on tips and what his experience and learnings has been to perform as a successful Sales Development Representative. He shares his view about how the modern customer centric approach is different to traditional lead generation methods which don’t work anymore. Question 1: What is your view on the role of an Sales Development Representative in today’s market? When I started with Alchemise Consulting it became apparent that the role of the Sales Development Representative today is a unique offering very much different to the standard inside sales positions. While they wear a sales, commercially focus hat, they also need to sit on a marketing chair. What makes this role unique is prior to the 90s (and the digital age of data collection, such as names, phone numbers and email addresses, etc), the marketing department/agency was engaged to attract the customer and compel them to pick up the phone or walk through the door. The sales people then qualified those that walked in and then proceeded with the sale process. Today the Inside Sales Role (ISR) or Sales Development Role (SDR) performs a bridging function between the two business units and in part prospects/researches and initially qualifies the contacts before introducing the sales team/contact to follow through with closing the sale. Where the role is able to be fed qualified contact lists from established sales enabled processes, it facilitates the efficiency and focus of the position to facilitate the commercial outcome needed for the business. Question 2: Have you needed to be more sales or marketing focussed in your day to day activities? My focus in the role has been more on sales to qualify the prospect while balancing this with the marketing aspect of researching and profiling, looking for online triggers relating to the companies and challenges/changes that the company may be going through that are relevant to begin initial engagement. This balance of both sales and marketing understanding provides the experience with focus on being customer centric. Question 3: Is relevant industry experience or sales experience required, for example to market technology based solutions or high value services? Having industry experience for ISRs does provide value with the comprehension of the on the ground language when speaking with the prospective contacts, especially with the acronym saturated Information Technology world. If this is a gap in the ISR’s comprehension and it is not addressed early in the engagement of the ISR then confidence in phone discussion will not be present. This can also lead to misinterpreting key information that is conveyed by the contact. When talking with people in the industry, trying to ‘fake it till you make it’, will destroy the ISR’s credibility. Question 4: What specific skills/experience and approach do you need to develop to increase your success in the role? As mentioned above, understanding of the industry vertical jargon is important for the Inside Sales or Sales Development Representative. Of equal importance also is the mental fortitude, resilience to be able to shake rejection off, like water off a ducks back. Being phone (trigger) happy as opposed to phone (gun) shy is vital to have in this role. I believe that having an approach of being willing and able to speak to anyone would be an ingrained quality/skill in your ISR. Making numerous calls in a focussed way is also another key requisite of the role. If the ISR has a customer service/centric approach to the position, in that they are looking at ways that they are able to help their prospective contacts will also be of benefit to the business, the client and success in the role. If the skills and experience are needing fine tuning then having someone to coach you is vital to future success. The other key skill that needs to be developed is common courtesy. Lacking this level of etiquette can ruin the business reputation fast. Question 5: How did your manager help mentor or guide you in bridging the gap between sales & marketing as a team? With the above mentioned, it is worth stating that even with the skills that I started with at the beginning of the engagement. There were additional areas of learning that were also needed. I found being able to verify some of the unfamiliar industry speak, along with a higher level of industry understanding from Chak Ng, greatly assisted with my own knowledge gaps and approach not to mention the guidance on courses best to take that would further improve my own skill set. This highlights the importance of working together and keeping the communication lines open. Working as a team as opposed to having a siloed approach is one of the stark differences, I have seen with Alchemise Consulting as opposed to other organisations that I have engaged with previously. Question 6: How did the use of marketing and sales tools CRM/marketing automation help you in your role? i.e HubSpot value. 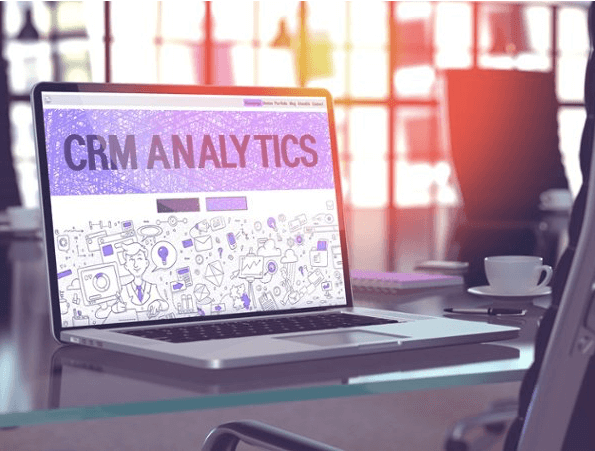 Part of this is having processes in place to ensure smooth engagement, a team approach, the use of a CRM that is more intuitive and of value straight out of the box, along with the marketing automation that the tool supplies were of great assistance. The tools and automation enabled me to gain visibility on prospect interactions, thus being able to reach out when the contact had viewed the content/communication that was sent to them and not fly blind and pester the contact when they have been busy with BAU issues that draw their attention. The analytics also provided insight into being able to understand which part of the (PDF) communication was viewed and for how long. This was especially true when used in campaigns. Question 7: What type of training did you required for each campaign? As for the campaigns the additional training that was undertaken was very much bespoke to each business that was engaged with. Knowing the client’s business in preparation with being onsite, immersing and spending time within their business or reading through additional marketing collateral along with a content map to furnish individual material relevant to prospect discussions. In addition to this any cultural idiosyncrasies relating to geographic region was also required. This all comes down to distinctions or details of the engagement. Without the additional research and pertinent information, it would have been difficult to achieve the results that were gained. Question 8: How important is preparation during a campaign setup and which aspects are vital to having a chance of success? This comes back to the initial preparation when starting a campaign. Which as mentioned previously comes down to understanding what the client’s needs are and also making sure that all systems, tools, internal contacts/stakeholders and needed processes are in place before starting the engagement. While I have been at Alchemise I have seen other clients who have adopted a cowboy, gung ho approach and have not realised the success that they were hoping for. When you consider the capital outlay and personal reputations put on the line, it is exceptionally important that informed preparatory ground work be in place prior to implementation of on the ground activities. Question 9: Can you share two examples where the use of a sales enablement process worked well and what type of customer engagement made sure everyone was in sync? A client event set one month in advance is an example of the preparation needed that provided a tangible result through the use of a sales enablement. A list of relevant enterprise companies where supplied by the marketing department and additional scripts and supporting collateral. This facilitated confident discussions with supporting documentation that could be supplied to clients that was relevant to their position in the company. The result was 19 pre-registrations were booked in from C-Level contacts for the event in this time period. Another example was for another organisation providing Cloud management services that needed to warm up a list that had gone cold due to the timing of the previously implemented campaign by a 3rd party. Scripts were put in place with along collateral marketing material. The use of a CRM that supplied analytical information on individual contact engagement also enabled me to further successfully interact with prospective contacts. The result on this engagement was in just 30 days, from 200 contacts, we achieved 53 leads, 23 MQLs and 8 SQLs. Question 10: How did you measure success in the campaigns? Can you give me an example of where greater conversion was achieved? With each of these two examples above the success was measured in initial qualified preregistrations for the event and with the second engagement it was a pre defined qualification process on what stipulated a MQL (Marketing Qualified Lead), SQL (Sales Qualified lead) and leads that needed further nurturing. Question 11: What would you suggest to a company that is searching for more leads and approach to lead generation? With qualified leads being vital to a company’s survival, I would suggest that with other companies with their own lead generation process, that they work out exactly who they are looking to reach. Have a sound marketing strategy in place with supporting marketing collateral. Define what success will look like with the commercial return that is expected with a set time frame. Question 12: What is your advice to the many start-up and SME companies you have spoken in the last 12 months about their business growth aspirations? For the companies in the last 12 months that I previously spoke to there have been some real observations and useful tips about handling some growth obstacles. Don’t engage with a creative company unless you have a defined plan on what the commercial return will look like. Ensure that the agency defines the process that they plan to implement to generate leads. Make sure that the leads generated are categorised into levels with each level clearly defined so it can be prioritised. If your creative agency is not able to at least provide marketing qualified leads from the work that is undertaken then this should be a warning sign for you. For more insights about how Inside Sales and Sales Development process and resources can increase performance and conversion, please look at these previous blogs. Good luck in 2019! To kick start your year, we would like to offer you our FREE E-Book on “How to increase your profits with 7 Profit Multipliers! Are you reflecting about your 2019 plans and where you need help with Sales Development or Inside Sales structure, processes or resources? Feel free to contact us for an initial discussion about your sales & marketing challenges and to book in your independent health check. We can demonstrate specific value by identifying where we can help you and your business accelerate your sales engagement and increase your sales development performance and effectiveness. Contact Alchemise Consulting at info@alchemiseconsulting.com or @alchemise_cons or call our office on +61(3) 9225 5022. The inside sales function can help bridge the gap between MQLs and SQLs with the right onboarding process and agreement between both marketing and sales. We see this as a combined function with, ideally, common budget allocated between the two departments. Our recommendation is to engage inside sales specialists who understand your market and are able to scale based on demand. For many SMEs and growing businesses the process of hiring strong and experienced BDMs to generate new business isn’t always possible within initial budget considerations. Depending on the sales and marketing go-to-market strategy, the role inside sales plays will have significant impact on marketing activities. You can drive top of funnel leads through multiple channels, however often there is little resource allocated to follow up leads and nurture them. To increase sales pipeline generation and the ability to accelerate sales revenue targets requires increasing sales productivity and marketing aligned discussions. Based on the buyer’s journey and focussing on sales enablement, more budget should be invested in marketing in ways that support sales. Part of the justification to consider is that the ‘people’ element of inside sales (in-house or contracted) can take less time to payback ROI and also shorten the sales cycle based on sales enablement productivity goals than just on technology automation alone. Choosing an outsourced telemarketing campaign that may not drive qualified pipeline opportunities or contribute to the required ROI required can be risky, as can be hiring the wrong BDM. Your brand reputation could be affected with negative perception from prospective organisations receiving cold calls that can have a future impact. While there is always risk involved in making these choices, it is important to carefully consider any and all relevant factors and plan to help to mitigate this risk, and to increase your success. Many traditional marketing agencies offering guaranteed cost per lead can prove to be of low value, unless the metrics can be clearly measurable and aligned to sales impact. Caller agent behaviour changes depending on the reward and their skill levels. A minimum standard BANT method needs to be used but a level of consultative or trusted advisor approach with relevant subject matter and communication skills will increase the lead qualification quality. The only way this can be demonstrated is having the sales and marketing function sit in the same room first and agree on the common objectives with a sales enablement process. Step Two: Once the clear requirements and goals are highlighted through a structured workshop, the level of investment can be agreed towards joint accountable and responsible KPIs first. Why the strong focus on inside sales function for lead generation? Value for money and accelerated sales pipeline development in line with sales and marketing aligned goals. Opportunity to nurture a good resource with sales and marketing skills development. The domain expertise and skills can be nurtured and talented individuals can be progressed into BDE or BDM role under senior experienced managers which helps with talent retention and promotion. There are no guarantees or security from a traditional recruitment process in hiring full time sales teams. For small companies with limited hiring experience, this cashflow outlay can prove very hit and miss, and risky at the least. Both direct and indirect costs are at risk if the wrong hiring choices are made, often with perfomance monitoring throughout a six month probation period. The employment market is shifting to an outcome-based model and the certainty of fixed costs and measurable tangible results. Looking at the accounting and legal industries for example, some of the mid-tier firms are slowly shifting from time-based to value/outcome-based services. 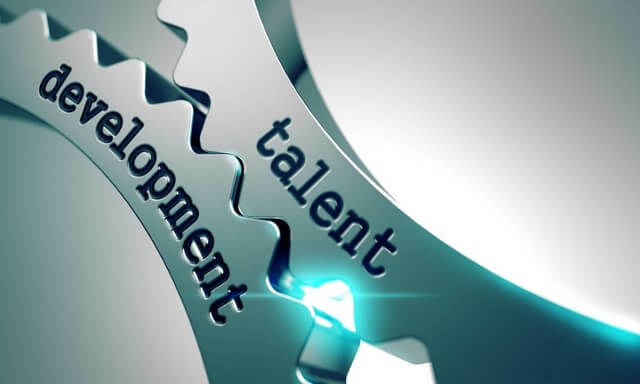 However the cost for quality hired resources needs a good talent acquisition plan and budget. Considering a shared risk model in the professional services helps you shift to deliver value added services and demonstrate a willingness to differentiate in the marketplace and to your clients. Gaining access to an experienced sales team on demand provides both a skill and budget buffer during peaks and troughs as properly marketing qualified leads can be generated through multiple channels and nurtured. The provision of consistently qualified leads and communication from marketing will also offer more confidence to the sales team. Imagine the focus on sales teams with aggressive targets for Q4 and then there is no pipeline for Q1… Does this scenario sound familiar? An inside sales presence to complement your internal sales team can help solve this all-too-common challenge. The value of inside sales as a service can fill the gap in building a real sales pipeline, so having access on demand can help drive up prospective client engagement and opportunities. I would hire an inside sales resource on demand rather than paying for lower level telesales resources who do not have the required expertise in the industry. What I believe brings success is not only the right experience but also the passionate attitude and personality suited to the client and part of the wider team. At Alchemise, we strongly focus on not only nurturing leads but also our inside sales team management focus depending on the type of campaign and expertise required. The primary metric to consider is Contacts to Conversions that is driven by sales pipeline and revenue generation as a truer measure of success. Common digital marketing metrics such as content impressions, web visits and content downloads at the top of funnel typically becomes an MQL. This often frustrates sales as the time and cost of these measures doesn’t have an aligned correlation with sales revenue and pipeline/ opportunities generated. We would like to challenge the conventional model with one that aligns sales and marketing with an inside sales function. If you want to differentiate your organisation with a more effective aligned sales and marketing growth strategy to generate higher ROI on your marketing investment, sales enablement and inside sales is the way forward. The attention should be directing focus towards the middle and bottom of funnel conversation or engaging a marketing consultancy which appreciates both sales and marketing alignment and not just generating top of funnel leads. Unlike a telemarketing “one size fits all” guaranteed cost per lead model commonly delivering less than 1% lead conversion, a different approach is to look at the detailed setup and preparation first. A detailed process aligned to the business strategy to increase conversion rates typically establishes a benchmark after the first 3 months using an rolling average lead indicator. If you can appreciate the delivery process with subject matter experts from the inside sales resources and a quality over quality approach, this is also good indicator that you have found a good fit of who to work with. Come and arrange an obligation free discussion with Alchemise Consulting and our experience with a holistic, people, process and systems approach or find out about our Inside Sales as a Service. 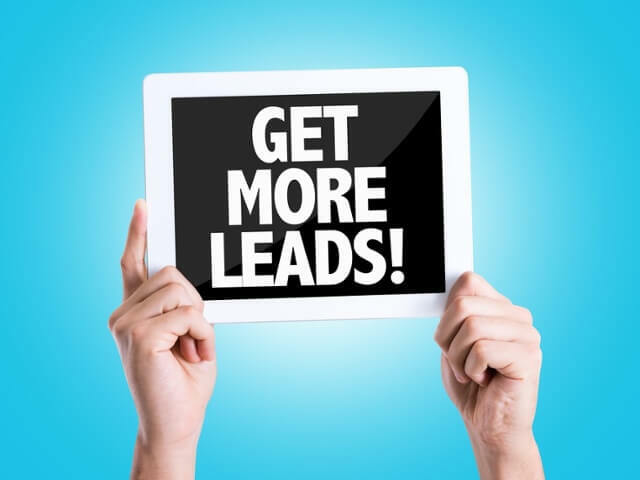 This article has been written to open up some strategic thinking and discussion for business owners, as well as sales and marketing managers in SMEs or corporate businesses, on different ways to increase lead generation success with inside sales. At an event we were a part of last year, it was great to hear that a prominent marketing agency acknowledged that marketing supports sales, and that successful lead generation cannot be achieved with just marketing automation and digital content alone. The challenge in lead generation and conversion efforts between marketing and sales departments are still causing inconsistent measurement of ROI and success. 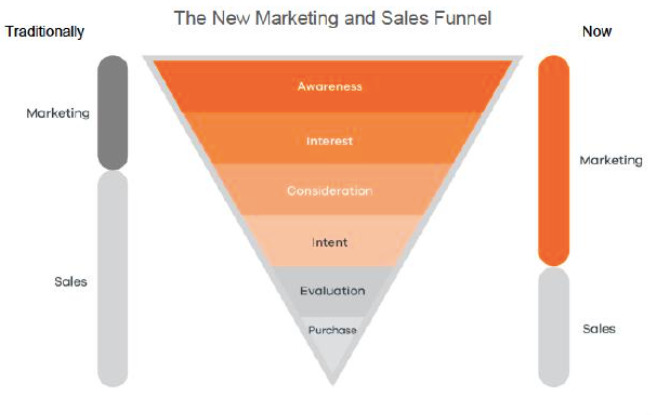 It’s becoming even more important with the need for both sales and marketing functions to complement, align and integrate with each other and adopting a “full funnel” top-down view. So how can you start that process and get a business to commit to a shift in mindset? 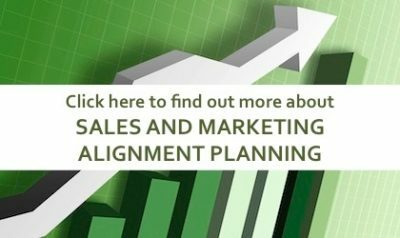 The term sales enablement comes to mind and applying the real meaning of this requires the focus of the inside sales role and joint ownership between marketing and sales – agreed upfront as a common shared goal. Sales enablement is the process of providing the sales organisation with the information, content, and tools that help sales people sell more effectively. One example and context was from a marketing agency feedback in running an ICT campaign for a successful Microsoft partner. The client challenge was to generate 2500 marketing leads for a sales target of $10M (4 sales representatives) through content driven marketing automation. That would mean over 200 leads per monthjust from organic digital content and use of marketing automation – a huge task to guarantee a cost per lead model that doesn’t quantify sales opportunity progress or success. These metrics and expectations just didn’t add up realistically given the variables; length of follow up from sales, quality of leads, and length of the sales cycle. It seemed like the ROI and appropriate KPI would have been unrealistic to achieve in 12 months. These lead metrics are only part of the picture and can’t be relied on to generate consistent leads without first examining the sales targets. If you can reverse engineer the sales target setting process with the required amount of marketing activity and leads required, this usually highlights either a gap in sales target expectations or marketing budget allocation to support this. In an ideal situation the sales manager and marketing manager should agree on the common metrics and KPIs. In the previous campaign run by the agency mentioned, the MQLs manifesting from the marketing automation platform were largely impressions, web visits, contacts, downloads and enquiries. This is purely a top of funnel focus. However typical frustrations arose in lead follow-through between MQL and SQL when the sales team didn’t follow up the leads or several leads slip through the cracks. It was refreshing to hear the marketing agency involved in this campaign quote that the missing link is (needing) “still a human to be involved”. The other negative impact of relying on inbound automation alone as the primary channel for lead generation was that the sales representatives can became less motivated to generate their own leads as BDMs or Account Managers. From my sales experience, the biggest challenge still lies in bridging the gap between MQLs and SQLs with a higher degree of skill over simply appointment setting to meet the metric. I believe that one of the keys to successful lead generation is for businesses to invest more in inside sales functions and achieving higher quality results. What is Inside Sales, and how is it different? Inside sales is the sale of products or services by sales personnel who reach customers by phone or online methods, rather than travelling to meet them face-to-face. Inside sales relies on the phone, emails and the internet to reach customers and is common in the retail industry. How is inside sales different to outside sales? Unlike outside sales personnel, insides salespeople do not travel. Despite this, they are still proactive about contacting potential customers and may make cold contacts. A company may also designate incoming calls from prospective customers as inside sales. In addition, a company may outsource their inside sales duties to a third party instead of conducting sales in-house to increase their speed to market. In a highly competitive, quarter-by-quarter sales environment, the time taken to engage can mean a lost sales opportunity. This Inside Sales function is commonly known in the ICT or telecoms world as an Inside Sales Role (ISR) or Sales Acceleration Lead or Sales Development Representative. The typical capability and profile is someone with 2 to 3 years of sales experience or telephone based sales who appreciates the technical/conceptual aspect of the product or service that is being offered. At market rates in Australia they are paid between $50K to $70K base salary plus commission of up to $100K OTE in an ICT role. If you can successful build a team of ISRs who have senior industry expertise, the right sales aptitude and attitude, with attention to detail and appropriate training, this is a great foundation. The team can then enhance sales enablement process and help bridge the gap between sales and marketing. This investment may generate a higher ROI than employing just a field sales team and, in some cases, represent better value. The key to successful full funnel conversion from any marketing lead generation is to execute a marketing campaign with Inside Sales Representatives. Many marketing agencies spend a lot of time developing a top of funnel focus, driving online automation campaigns and leads from multiple channels and tactics. This may be moderately successful however the role and responsibility is handed back across to the client for the middle and bottom of the funnel engagement focussed on sales conversion. 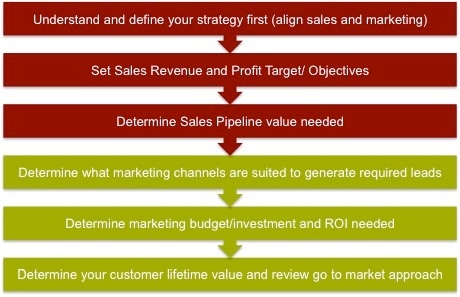 In my opinion, this is where the true ROI of a retainer is unlocked for sales effectiveness and still requires a level of knowledge and “human” interaction to bridge this MQL to SQL gap and “leaky funnel” syndrome – which is still being experienced as a common cause of disconnection between marketing agencies and sales teams. A good inside salesperson should have the ability to grasp more complex concepts and think about a more meaningful business discussion on a follow up call to increase the quality of marketing qualified leads. The benefit of inside sales is that star performers can be identified and nurtured towards a field sales progress path which provides sales engagement continuity to the business or a transition plan for staff retention. The human factor in consideration of the specific knowledge of the company’s products, services or solutions can provide a far more contextually-relevant delivery compared to a telemarketing representative following a script. Commonly the lack of depth of understanding isn’t appropriate to the conversation with the target stakeholder and decision maker on the prospect side and can lead to lost opportunities. The buyer’s journey today means that more customers and prospects are well informed via multiple channels through their own research before being accessible and ready in their timeframe to actively make a purchasing decision and engage their supplier of choice. Traditional telemarketing conversion rates are still poor and the ROI is negligible without the due care of impact on sales revenue and profits. Would you rather have 10 highly qualified leads a month with a 50% ratio to convert with some strategic awareness or 20 average leads of inconsistent quality just because it was an agreed cost per lead engagement per month that was committed to deliver regardless of the chance of conversion? Customised lead generation is highly recommended rather than a ‘one size fits all’ approach to have a better chance of success. 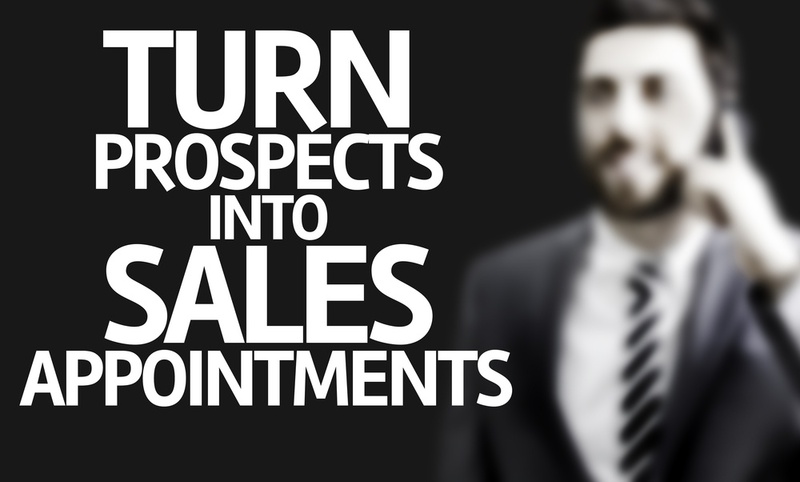 Inside sales is increasingly becoming the avenue to help achieve this. Look out for Part 2 of this series, Why to use inside sales for lead generation: Sales strategy and ROI, where we will talk about the value of Inside Sales versus Business Development, the importance of strategy, and also the use of marketing automation to increase qualified leads and overall ROI. If any of the challenges mentioned above resonate for you, register for an independent Business Growth Assessment to find out how and where we can help you resolve some of your concerns across your marketing and sales strategy. Here is Part 2 of this article continuing on from Part 1: Why Inside Sales is one of the keys to successful lead generation. How Inside Sales could provide more value than Business Development for SMEs. The alignment process looks like this as an example. There are no guarantees or security from a traditional recruitment process in hiring full time sales teams. For small companies with limited hiring experience, this cashflow outlay can prove very hit and miss, and risky at the least. Both direct and indirect costs are at risk if the wrong hiring choice(s) is made, often with perfomance monitored throughout a six-month probation period. It was refreshing to hear last month that a prominent marketing agency acknowledged marketing supports sales and that successful lead generation cannot be achieved with just marketing automation and digital content alone. Sales enablement is the process of providing the sales organization with the information, content, and tools that help sales people sell more effectively. One example and context was from a marketing agency feedback in running an ICT campaign for a successful Microsoft partner. The client challenge was to generate 2500 marketing leads for a sales target of $10M (4 sales representatives) through content driven marketing automation. That would mean over 200 leads per month just from organic digital content and use of marketing automation – a huge task to guarantee a cost per lead model that doesn’t quantify sales opportunity progress or success. Definition of Inside Sales, Sales Development or Sales Acceleration Lead. Inside sales is the sale of products or services by sales personnel who reach customers by phone or online methods, rather than travelling to meet them face-to-face. Inside relies on the phone, emails and the internet to reach customers and is common in the retail industry. Unlike outside sales personnel, insides salespeople do not travel. Despite this, they are still proactive about contacting potential customers and may make cold contacts. A company may also designate incoming calls from prospective customers as inside sales. In addition, a company may outsource their inside sales duties to a third-party instead of conducting sales in-house for increasing their speed to market. In a highly competitive, quarter-by-quarter sales environment, time to engage can mean a lost sales opportunity. This Inside Sales function is commonly known in the ICT or telecoms world, or financial services, as an Inside Sales Role or Sales Acceleration Lead or Sales Development Representative. In my opinion this is where the true ROI of a retainer is unlocked for sales effectiveness and still requires a level of knowledge and “human” interaction to bridge this MQL to SQL gap and “leaky funnel” syndrome – which is still being experienced as a common cause of disconnection between marketing agencies and sales teams. Customised lead generation is highly recommended rather than a “one size fits all” approach to have a better chance of success. 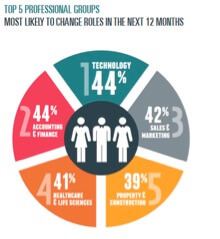 Inside sales is increasingly become the avenue to help achieve this. Look out for Part 2 of this series on Inside Sales function as a key to successful lead generation. We will talk about the value of Inside Sales versus Business Development and also the use of Marketing Automation to increase qualified leads. In our previous articles on business growth and growing sales revenue, we touched on the 3 reasons and 3 actions for aligning marketing and sales processes. While the alignment of marketing and sales are important, enablement of sales teams covers a wider area to generate sales revenue. Sales enablement is the holistic process of implementing strategies, tools and process that would continually increase the efficiency and effectiveness of your sales team. This is especially important in the highly competitive financial industry in Singapore. 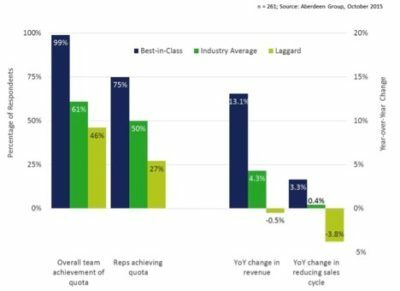 Famed research company, The Aberdeen Group, found that 84% of companies with best in class sales enablement strategies hit their sales quota, compared to 55% for average companies and 15% for laggard companies. If 84% of your sales team can reach their sales target, your company would grow exponentially. For companies to achieve best in class for enablement of sales teams is a very broad discipline, they can begin with a few vital areas first and move on when they see better results. While there are many ways of beginning the sales team enablement conversation, the best way would to look at the recruitment and talent acquisition strategy and process. 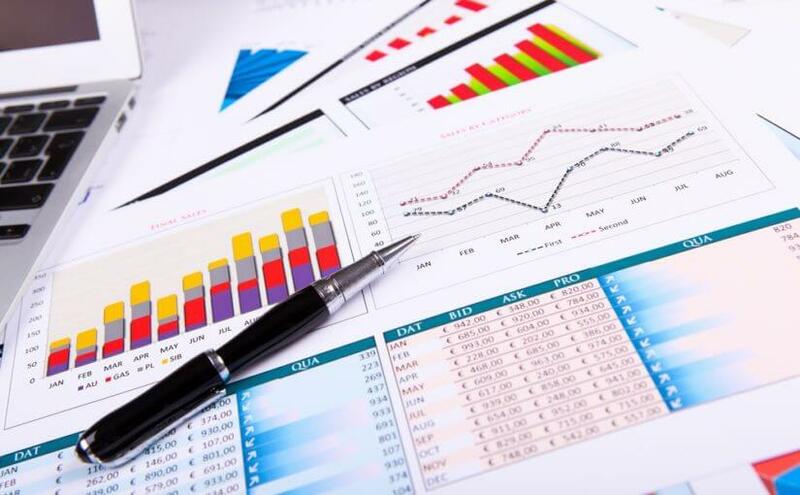 According to recruitment firm, Michael Page Singapore, the financial industry has the second largest turnover, just behind the technology sector in Singapore. Based on their survey, if you have a 10 person team, you can expect 4 to leave in 12 months and if you have a 5 person sales team, you can expect 2 of them to leave for a competitor. This means that you will need to have a robust hiring process where you identify the sales people with the right attributes which you want to bring onto the team. This process has to be owned jointly by the sales and marketing team. Once you have hired the right folks, the next objective would be to train them to understand your company’s value and have a formal process to improve their sales capabilities. This would include a knowledge building process where the sales experience, design and process, documents and plans of the future are transferred to the new hire. This can be done either in a formal or informal process and if done properly, it would increase the efficiency of your business, reduce risk and harness sales opportunities. Aside from the external knowledge, your sales person would need to build their internal sales competency in the five areas of achievement motivation, emotional stability, emotional intelligence, accountability and time management. One of the main advantage of proper training is to reduce the ramp-up time for the new sales staff to productive. The key question to ask is how many months does it take for a new sales hire to reach the same production level as a veteran sales guy. The answer is simple. Just put the name of every sales person on one column and on the next few columns, put in first, second and third monthly sales until you reach the matured stage. For most sales people, it will take them 16 months to hit full productivity and most managers don’t like the sound of that. 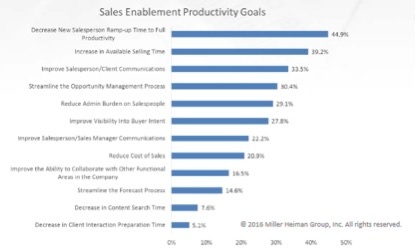 This is why one of the top aim of sales enablement would be to reduce the ramp up time. Besides training, the next key goal is to equip your sales person with the right CRM, social media, marketing collateral and other tools, to hit their sales quota. 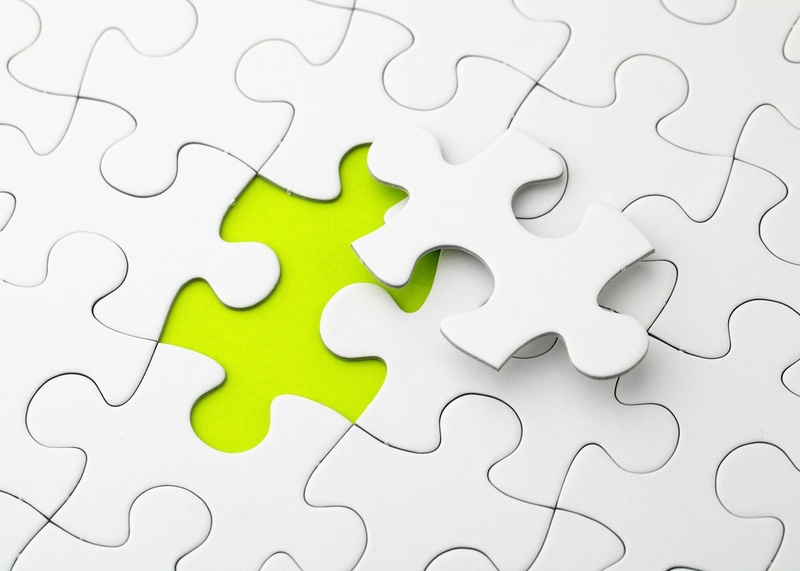 Finally, the final piece of the puzzle would be to measure their sales metrics from leads to appointments to sales closure. This will tell you the effectiveness of the sales people and their sales manager. The metrics would tell a story. For instance, if your private banker is getting lots of leads but manage to convert 1% of them into appointments, then you should look at the quality of the lead or the sales approach process (phone call scripts, email templates) for any weakness. Social media is the new effective medium to reach out to your customers. We suffer from short attention span with the outburst of information from the Internet age and the best way to reach out to them would be through social media. 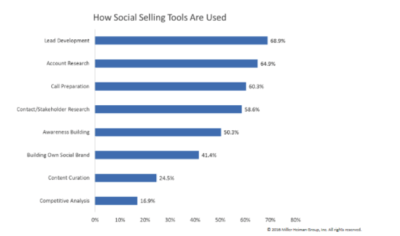 In social selling, Facebook is not the most dominant unlike social media marketing. The crown would go to LinkedIn which used by 84% of sales people, followed by Twitter which is used by 38%, then we have Facebook at 28% and finally 15% of sales people use Google+. These sales people have formulated an entire sales strategy and leverage on social marketing tools such as Hootsuite and TweetDeck. When their sales and social selling strategies are aligned, it is found that the organization boost their sales by 53.6%. There is a saying that an increase in sales cure all pain within the organization, so give it a try. It has been found that social selling is a good source of leads and research into the qualification of the prospect. This is one reason why LinkedIn is overwhelmingly popular with sales people when they engaged in social selling. For instance, if your private bank wants to target a high net worth individuals, you can search for the C-suite of companies with turnover of $100 million and above. If you pay for your LinkedIn account, you can easily find such information within the 106 million active users and 467 million of users. No two organizations are the same and therefore, they have unique sets of obstacles that is preventing them from hitting their full sales potential. There are no lack of sales enablement solution in the market and CEOs might be tempted to jump onto the first solution that makes sense. This will create problems down the road when the results are not forthcoming. The first step is to look at the problem of the organization seriously and discover hidden issues that are hindering your progress. For that, you would require experienced sales person to independently help diagnose your organisation issues. Alchemise Consulting’s Director, Chak Ng, has over 17 years of APAC sales experience and his consulting team can provide an ‘outside of the box’ approach to your business issue. The benefits of discovery from a complementary business growth assessment can include a focus on digital readiness assessment or sales and marketing alignment. 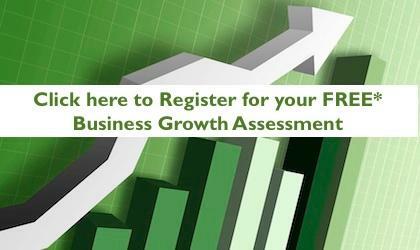 To find out more about how we can help take your business to the next level, please register below. Private banks are essentially sales organisations created to win the trust of high net worth individuals which is a tall order for most people. These people may not be in the financial sector but they are usually savvy in their own field of business. With the explosion of information on the Internet, the buying process have changed where these prospects consume content before deciding on whether to engage your company. Sales enablement is the process of allowing sales representative to sell at higher velocity and increase your sales funnel. If it takes 1 year for your new private banker to hit $50 million in assets under management (AUM), then through the sales enablement process, it should take no more than 6 months. Does this sound too good to be true in an area where multi-family offices and other private banks are competing against the expanding pool of clients? How can enabling financial services and private banking sales teams double sales? The answer to how enabling sales teams can allow your sales representatives to sell at higher velocity lies in its role and positioning. Sales enablement can be seen as a hybrid between marketing and sales but it is solely focused in direct activities that leads to sales. It is not involved in branding or buying ads. From a practical perspective, sales enablers sit down with sales representatives to uncover the personas of their ideal client and how they can work towards securing them. One of the first activities would be to roll out suitable content according to the buyers’ journey. This can include awareness articles which touches on the new trends on wealth management, white paper on the state of the economy in exchange for email address for consideration and case studies on how your bank grew the wealth of your clients for them to make their decision. 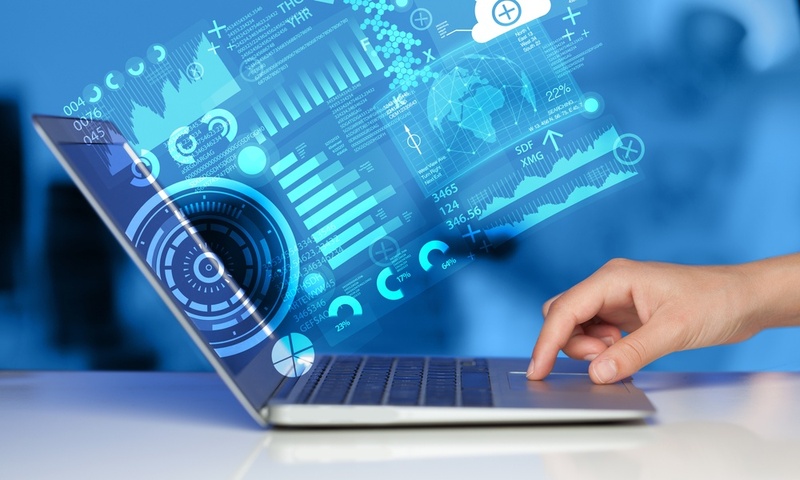 It would also include incorporating an enablement tool such as CRM and marketing automation software where activities are automated and measured for its effectiveness. Leads are nurtured and would only pass it to sales when they are ripe for the picking. Sales enablers would also sit in on client calls to see how the clients are reacting to the produced content. Suitable candidates for enabling sales. Not every private bank is suitable for sales enablement as it involves a shift in mindset and organizational purpose. If your private bank is focused on serving your existing pool of clients, then it is not suitable. However, if you are targeting to grow your base of clients, you would need high quality content which speaks for itself. Someone has to talk to your private bankers and see how clients are responding to the given materials. The private bankers have to be allowed to focus on the sales part of the job instead of being bogged down by the need to locate the right materials. 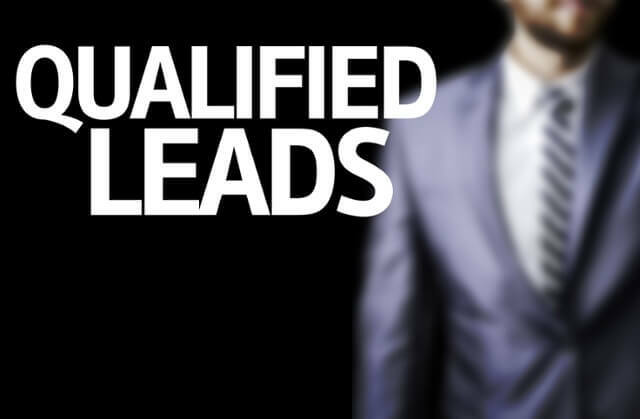 Qualified leads have to be brought in at a fast pace to support rapid growth. The right sales manager can move your company from undefined to a world-class private banking powerhouse, with increases proven by relevant metrics. The right sales manager would measure results and consequently refine the activities on a regular basis. For instance, if your average asset under management is $2 million with 0.5% management fee, each client is worth $10,000 to the firm. If you can improve the lead to client conversion rate from 5% to 10% and increase the pool of qualified leads from 50 to 100 per month, then your revenue would have increased from $25,000 to $100,000. You can see how a small increase in conversion rate and qualified leads can result in a significant increase in revenue. These are realistic targets after the proper sales enablement strategy is defined and deployed. It is a process which can take between 3 to 6 months before you can see results and not an overnight success. There is basically two ways which you can do these: hire a team or hire a consultancy. Even with 1 experienced sales activation hire, it would likely cost you at least $6,000 per month or $36,000 before you can see the results. The newbie might be cheaper but the results are likely to take longer to materialize. If you missed our last article, please read also 4 ways to increase your AUM growth in Singapore private banking. Alchemise Consulting provides you the advantage and value of combining a suite of experienced industry sector focussed consultants with their low-cost, shared risk and outcome-based approach. Studies have shown that the 99% of the best sales enabled companies hit their quota. Curious how we do it?